Are Loose or Missing Teeth Robbing Your Independence? It’s time to take charge! Loose and missing teeth can cause you to feel a diminished sense of self-esteem. 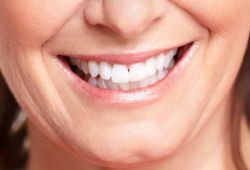 People with loose or missing teeth avoid smiling and social interaction allowing poor oral health to keep them locked up in a sense of helplessness and embarrassment. When teeth are loose or missing, the effects can be devastating. You can feel a loss of self-worth, witness your face take on an aging look and experience difficulty chewing your food. This discomfort is profound for those who want to interact socially or professionally and are held back because of the appearance of their teeth. Now, with dental implants, you can have all of your teeth replaced and have a permanent solution to your loose or missing teeth. Dental Implants offer complete independence from removable dentures and unstable dental bridges. Your dental professional surgically implants a post into your jaw to replicate the sturdy and permanent effect of a root. The porcelain tooth is then permanently attached to the post for a strong and lasting tooth just like your own natural teeth. In addition to looking and feeling completely natural, the dental implant will help curb the deterioration of your gum and jawbone, leaving you with a permanently healthy, functional and strong set of teeth. No more slipping dentures and no more loosening dental bridge. Claim Your Independence with Dental Implants Today! Ocean County dentist, Dr. Ron Rotem is the professional for you. His sensitive and caring nature coupled with his ability to design a personalized beautiful smile will bring you the happiness you deserve. The longer you wait, the more your oral health will deteriorate. Don’t allow the downside of deficient oral health control your life any longer. Take control of your life with dental implants. Call your dental implant professional, Dr. Ron Rotem, today! Along with Dr. Rotem you will create the perfect team to take charge of your oral health and claim your independence with dental implants.